Boost your business networking confidence skills at ALL business functions – now! 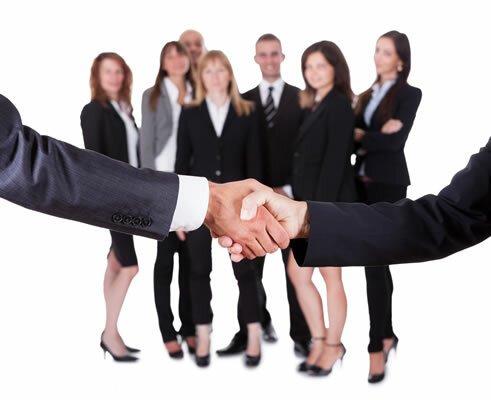 Hypnosis can equip you with the networking skills suitable for business. Attending a business function always involves networking. Many people dread the idea of attending these functions due to their inability to network adequately and they become paralysed by feelings of anxiety. With the use of hypnotherapy, you will be able to make the most of the opportunities to network as they arise. Business networking has two functions; it can help promote the business and it helps to build relationships that will hopefully be fruitful for all participants. When you network at business functions you will be able to build relationships with potential clients and suppliers that can help your business. Business networking should never be seen as ‘selling’ but rather as developing relationships that can lead to more custom for your business. There are some common fears when it comes to business networking. These fears stem from worrying about how you’ll be seen by the person you’re talking to, or that you might be given a disinterested “No thanks!” At times you may believe that you are not cut out for networking. At other times you may be frightened by the prospect of standing in front of an audience and saying a few words. This is unfortunate because people end up not enjoying networking as much as they could and they fail to reap the benefits from it. Hypnotherapy is a solution to overcoming uncertainties or reservations about networking using the power of hypnosis! Through hypnotherapy, you equip yourself with a positive mindset that will make networking enjoyable. Our hypnosis sessions entitled Business Networking Confidence which has been specially created to assist you to completely transform your feelings and attitudes about networking when an opportunity presents itself. I highly recommend My Sydney Hypnotherapy to anyone looking to improve their lives. I have had six sessions with George and found significant improvements in my work performance and home life. I’m extremely happy with the result. I would recommend My Sydney Hypnotherapy to anyone who is looking for a change. I noticed a change after my first session and an emotional transformation after five weeks. I’ve experienced improved relationships and open communication with myself, friends and family. Instead of over-thinking I now feel confident to make informed decisions at the time they arise. Overall, George has helped me develop an inner cheerleader where I feel more confident about where I am going and my leadership abilities. I am thankful to have been working with George, he is friendly and his sessions are very personalised. I went to see George for anxiety related stress and the fear of public speaking. Because of deeply embedded issues going back to the childhood, I needed more than a few sessions but it was well worth for the relief I feel and technique I learnt I can use for rest of my life. After few sessions, I felt so much lighter, stopped sweating the small stuff and in situations where I would’ve previously got worked up I am now able to acknowledge and let go. I feel so much more centred and calmer. On the public speaking front, I am now less worried and calmer leading up to the presentation while previously I got so anxious leading up to it that I felt paralysed, and could not work until it was over. In my last one, my colleague commented I was natural! Can not recommend highly enough if you have wanted to be a better you. Want to be a confident business networker? And boosting your business networking confidence and start to looking forward to attending business functions!